I came across this fascinating article about how Target uses our shopping habits to determine which customers are pregnant. Stores like Target want to attract pregnant customers because they are the Holy Grail. If a woman shops at Target for her diapers, she will buy groceries there too. New parents want convenience above all else. I was struck by the accuracy of the algorithm that the featured statistician used. Target was able to identify that a 15-year-old girl was pregnant before her parents even knew. The fine line companies must walk in this big data era is how to leverage the knowledge gained by the data without creeping people out. 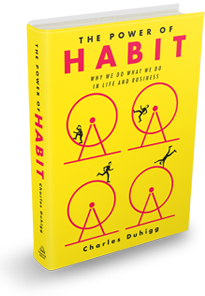 I bought The Power of Habit that afternoon and read it that night. I would highly recommend it to anyone because while not everyone has as many bad habits as I do, everyone does have at least one bad habit. There are anecdotes that I found particularly fascinating. The first dealt with weight loss (a micro-level habit). The second dealt with the safety record at Alcoa (a macro-level habit). The weight loss story involved a research experiment involving two groups of obese subjects. The control group made no changes to their habits. The other group exercised routinely. The pattern that emerged is fascinating. Those who exercised not only lost more weight, but they consumed fewer calories and smoked less (if they smoked at all). 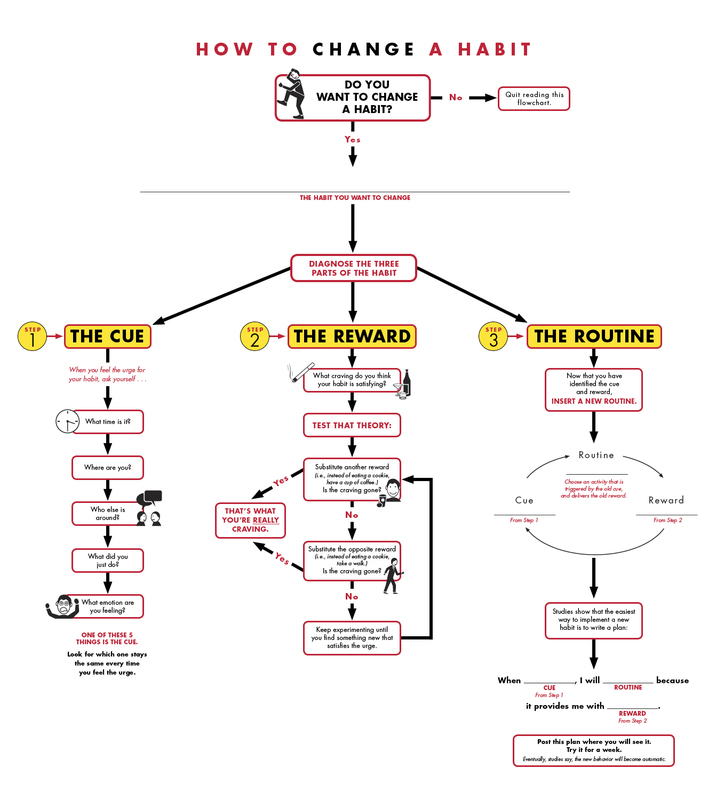 This introduces the concept of fundamental habits. When Paul O’Neill took over the floundering Aluminum Co. of America in October 1987, he shocked attendees at an introductory news conference by proclaiming that his focus would not be on expanding sales or improving profitability. Rather, he said, his emphasis would be on improving employee safety. Investors at the conference thought he was crazy and rushed from the room to tell their clients to sell Alcoa stock immediately. “It was literally the worst piece of advice I gave in my entire career,” one later said. O’Neill instituted wide-ranging programs to increase safety in what was previously a dangerous industry, empowering employees to offer suggestions and ensuring that accidents were immediately brought to the attention of executives. As the accident rate declined — ultimately to about 5% of the national average — something funny happened. Communication among employees increased, line workers offered other suggestions to improve efficiency, and the company underwent a renaissance. Within a year, Alcoa’s profits reached a record level. By the time O’Neill retired in 2000, the company’s stock was worth five times as much as when he started. What the LA Times article failed to mention was that by the time e-mail and the web came into vogue, Alcoa already had a massive intra-corporate communications infrastructure in place (due to the safety program). The company was able to leverage the internet better. This volume is highly entertaining and more than a little helpful. It relies on a simple premise, one that is outlined in the diagram below (courtesy of Duhigg’s website).